Currently viewing the tag: "Africa"
A new occasional paper by Alex de Waal, Pax Africana or Middle East Security Alliance in the Horn of Africa and the Red Sea? examines the peace and security challenges facing the Horn of Africa in the context of assertive military and political engagement from the Arabian Peninsular. For the last 25 years, Somalis and international interlocutors concerned with state-building appear to have assumed that ‘clans’ are the core identity units in Somalia, bonded by primordial ties. However, the prevalent formula that redefines selected corporate lineage aggregations as political-territorial identity units is a historical contingency that needs to be explained. 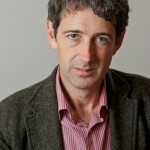 Alex de Waal wrote the Introduction to Africa Muckraking, the first collection of investigative and campaigning journalism written by Africans and about Africa. The editors delved into the history of modern Africa to find the most important and compelling pieces of journalism on the stories that matter. This collection of 40 pieces of African journalism includes passionate and committed writing on labor abuses, police brutality, women’s rights, the struggle for democracy and independence on the continent and other subjects. Each piece of writing is introduced by a noted scholar or journalist who explains the context and why the journalism mattered. Some of the highlights include: Feminist writing from Tunisia into the 1930s, hair raising exposes of the secret tactics planned by the South African government during apartheid, Richard Mgamba’s searing description of the albino brothers in Tanzania who fear for their lives, the piece by Liberian journalist Mae Azongo’s on genital cutting which forced her into hiding. This edited collection includes the legends of African journalism and seminal pieces of writing: stories on corruption and brutality by Mozambique journalist Carlos Cardoso and Angolan writer Rafael Marques, a loving profile of the legendary cameraman Mo Amin and his writing on the Ethiopian famine, Drum’s investigative reporter Henry Nxumalo who went undercover in South Africa to write about labor conditions on the notorious potato farms of Bethal. 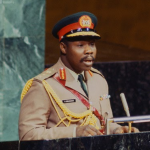 Nigerian novelist Okey Ndibe describes Chinua Achebe’s passionate writing on the war with Biafra and Kenyan novelist Peter Kimani describes the Hola Massacre while Ken Saro- Wiwa warned of the coming war in the Niger Delta. Like their counterparts all over the world, African Muckrakers have been imprisoned and even killed for their work. 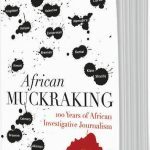 Africa Muckraking is a must-read for anyone who cares about journalism and Africa. Edited by Anya Schiffrin with George Lugalambi.